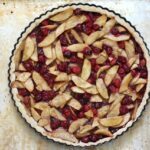 Tart cranberries and apples are mixed with brown sugar and spices to fill this flaky buttery crust. When Bob’s Red Mill contacted me to see if I might be interested in testing their new gluten free pie crust mix, I wasn’t sure what to expect. I’m thrilled to tell you that this is one of the best pie crusts I’ve ever tasted and it doesn’t taste one little tiny bit gluten free. 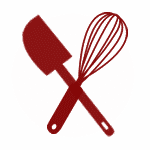 If you want to make a gluten free pie this year without the hassle of purchasing multiple flours and starches, this mix is the perfect quick helper for your holiday baking. The ingredients list contains only items that I regularly use in my kitchen, nothing strange is hidden there. My family liked this dessert so much, I’m making it again for Thanksgiving. If tarts aren’t your thing, this recipe will work equally well in a pie pan. I saved the last slice of tart for an extra day, just so I could tell you how the crust held up and it did beautifully. Every bit as flaky and crisp and not at all soggy after 36 hours at room temperature. And once you have your tart pan out, you might want to try your hand at this absolutely gorgeous Rose Apple Pie. This beautiful dessert is on my list to try soon. It looks so fancy, but once you read through it, you’ll see it’s just a whole lot of layering. Totally worth it for that stunning result, right? * Honey crisp pink ladies and granny smiths are some of my favorite apples for baking. While the dough is chilling, combine the cranberries and apples in a mixing bowl with the butter. Toss gently to coat the fruit. Add the dry ingredients and toss gently again to mix well well. It's fine to let the fruit mixture rest at room temperature for an hour or so while the dough is chilling. You can also prepare the fruit filling just before baking and transfer it directly into the crust. Remove the top paper and invert a tart pan or pie plate over the top of the dough. Flip the pan over with the dough pressed lightly into it. Carefully peel off the second sheet of paper and press the crust into the pan. If the dough splits or cracks, just press it back together. Smooth the top edges out as evenly as possible and then fill with the prepared filling. Bake for 35-40 minutes into the filling is bubbly and the crust is lightly browned. Remove from the oven and let rest for a few minutes before serving. Serve by itself or topped with vanilla ice cream. Enjoy! Oh Mary this looks so delicious - I love Bob's products - really great quality. 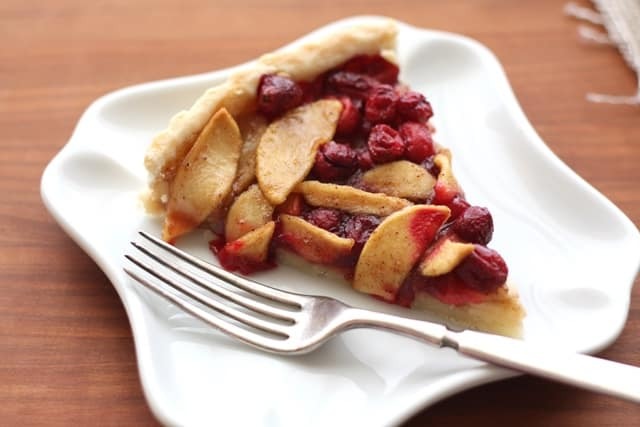 love the combination of apples and cranberries. This looks great Mary, so refined yet so homey. Love it! YUM! I just made your 3 ingredient PB cookies again yesterday. They are delicious. I was wondering what my holiday dessert would be and now I think I know! Thanks so much. Too many gluten-free "bread/bakery" products are tasteless so I really appreciate your reviews. Perfect! Happy to know that I can make a GF pie crust if I need to. Yay for Bob's! That is one gorgeous tart, Mary, I can't take my eyes off it. I love Bob's Red Mill, too! I especially love how you managed to keep the cranberry from coloring the apples, the contrast is so beautiful. If I want to make this using regular flour, is the amount of flour used the same as with the gluten free? Yes, swap the flour for all purpose flour and use a regular pie crust. Enjoy! Gosh that is one gorgeous tart!!! 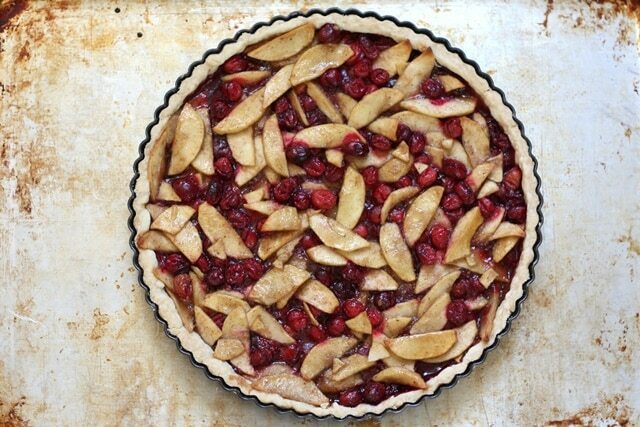 What a wonderful looking tart, so perfect for the up coming Christmas festivities. Can't find Bob's rice floor?